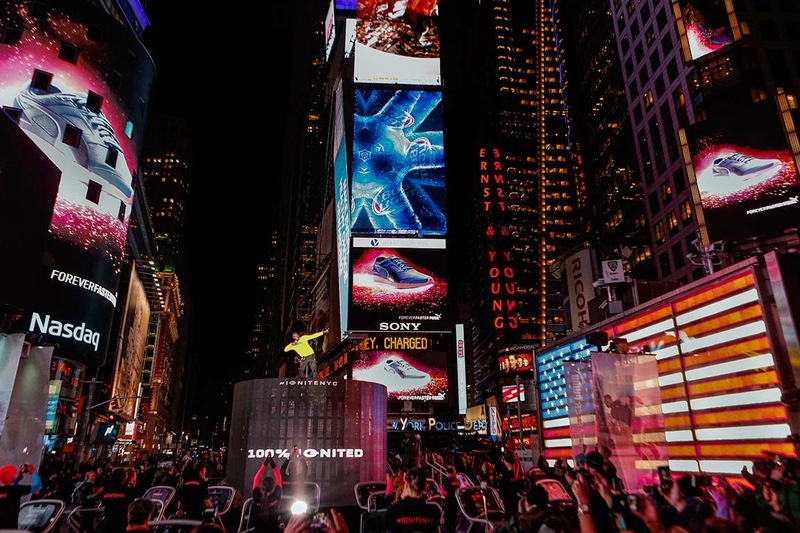 On 10 February 2015, Usain Bolt was at the heart of a spectacular stunt in New York. He launched PUMA IGNITE, a running shoe that provides maximum energy return. 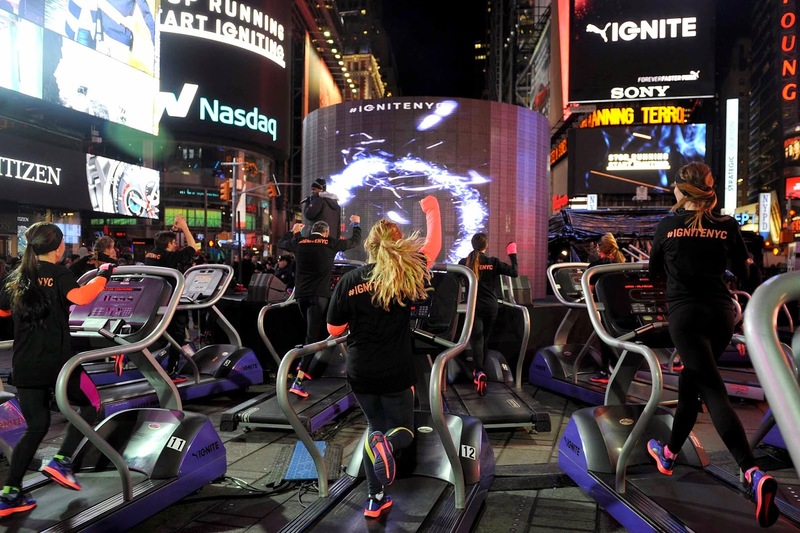 In the energy hub of the city that never sleeps, runners powered away on treadmills in Times Square throughout the day with the energy from their IGNITE shoes being collected and stored. When the threshold reached 100%, the World’s Fastest Man rose up in a theatre of light, smoke and fire. This wasn’t the first time Usain Bolt has made a grand entrance in New York. In 2008 he broke the 100m World Record for the first time and set upon a stunning track and field career that has seen five World Records, and 14 Major Championship Gold Medals. The World’s Fastest Man warms up and trains in PUMA IGNITE, to maximise his energy output and maximize his training impact. PUMA IGNITE has been in development for nine years, and features an innovative foam technology that makes it PUMA’s most responsive running shoe. IGNITE Foam is a proprietary foam that provides high-energy return, comfort and optimal durability. Strategically placed in the heel of the shoe is ForEverFoam, which is entirely new to the industry. This ForEverFoam compound is what gives the shoe maximum durability. PUMA IGNITE will retail for R1699 and will be available in men’s and women’s styles. To #IGNITE your run, visit PUMA stores and selected retailers nationwide from 5 March 2015.